I will certainly be sampling message from this site as I have time. John Owen is an unusual, larger-than-life figure of Puritan church history, and arguably one of the few towering theologians Britain has ever produced. And who better to provide a helpful introduction to this incredible man, than Michael Reeves. Owen was a mild mannered, wealthy academician by day, and a political conspirator by night, while producing some of the most magisterial theological works of the Puritan generation. He had eleven children, all of whom he would bury. As we’ve come to expect, Reeves is a wonderful teacher who knows his subject well and is able to capture your attention and paint a picture of life in past ages. 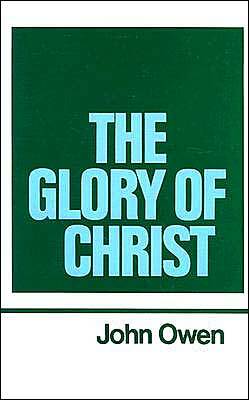 I thoroughly enjoyed this 3 part series on John Owen. 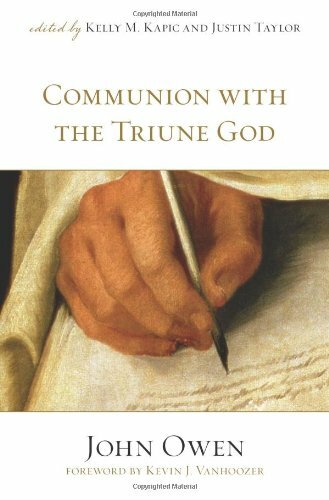 Reeves suggests the two best books to read to get introduced to Owen are Communion with the Triune God and Volume 1 of his Works by Banner of Truth, The Glory of Christ. The Reading Sibbes Aloud Project provides a growing collection of sermons of the Puritan Richard Sibbes. The great value of Puritan writing continues to be its depth of scriptural insight and timeless application. Please join Mark Dever as he reads through the works of the “Prince of the Puritans” Richard Sibbes. The lads at Christ the Center invite Joseph Pipa to discuss the impact William Perkins had on influencing Puritan preaching. 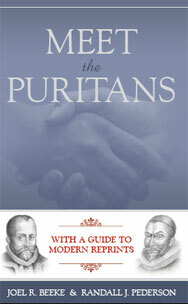 Joel Beeke’s book “Meet the Puritans” is a tremendous resource if you are a reader of the Puritans. It’s a catalog and description of Puritan works organized by author, and gives information on latest printings of these works so that you can find them. It also includes historical tidbits and a number of good bio’s on various Puritans. Beeke has been reading the Puritans since he was 14, and he now operates Reformation Heritage Publishers which reprints a vast catalog of Puritan writings that you will not find anywhere else. The team at Christ the Center discusses “Meet the Puritans” with Joel Beeke. Sinclair Ferguson delivered this lecture at the dedication to the opening of the Puritan Resource Center in Grand Rapids, Michigan. Ferguson has spent his life drinking from Puritan writings, and this message overflows with valuable observations that help us today. Further, Ferguson observes that what drove the Puritans was the glory of a triune God, and they work that out in the life of the believer. He also says that we can be so absorbed in our own experience, pursuing our own godliness so that we are frustrated in that pursuit because we have ignored the One who gives us godliness. James O’Brien is pastor of Reedy River Presbyterian Church and an avid reader of the Puritans. He joins the Christ The Center team to talk about the Puritans and how we should read them. This is another one of those discussions where you will want pen and paper in hand to write down authors (many I’ve never heard of before), titles, websites and addresses. The Puritans were certainly a unique movement in the history of the church, and they have left an overwhelming wealth of material that we can benefit from. Discussions like this help one to navigate the Puritan sea. Some of the discussion tackles the difficult aspect of some Puritan writing which often leaves true Christians in doubt of their salvation. O’Brien argues that much of this must be read with the audience in view, which was culturally religious and culturally pious, lacking true conversion. Google Books and Archive.com carry a wealth of these Puritan books in digitized form, and they have both been added to the links on the Faith By Hearing site if you wish to check them out. 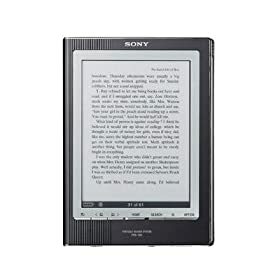 The Sony e-Reader would be a great tool for Puritan lovers as Google Books has recently made a deal with Sony to open up their archives of 600,000 books to the Sony e-Reader, and Google will soon have 1.5 million titles available. Kindle currently has under 300,000 titles. The difference is that Kindle carries newer books. Google’s titles are all old, public domain works, which is perfect for Church History and theology lovers. With Google Books you could have hundreds of Puritan books for your e-Reader, which has created the same easy-on-the-eyes screen that Amazon Kindle has. And the new Sony PRS-700 has touchscreen technology. Iain Murray recently gave an address which overviewed the Puritans and the place they hold in history. If you’re not interested in Puritan history this is probably not going to be an enjoyable listen. Murray assumes the listener will have some general understanding of the Puritans, of who they are and what books they wrote. If you don’t, the names and book titles will begin to sound like meaningless noise. One interesting note — Murray relates how the Puritan’s came to be known as the Puritans. They set out to reform, or purify, the Church of England. No news there. Their motivation for church reform was due to the prevalent idea in those days that a strong country was made strong by a strong, unified church. So under-riding their motivation to remain in the church of England was a desire to see a strong, unified national church.